One of the many purchasable dance emotes in Fortnite is from Snoop Dogg’s “Drop It Like It’s Hot.” It’s called the Tidy Emote, and goes for 500 V-Bucks, the equivalent of $5 in the game’s rotating store. Players who get it can make their character mimic Snoop’s wheel turning gesture from the video’s “park it like it’s hot” chorus. It’s not clear if Snoop cares that it is in the game. We asked. He didn’t reply. But last week, some other musicians did start talking about this kind of thing, raising the question of what the makes of Fortnite owe to the artists who inspire them. The discussion is part of a legacy of concerns about how black artists’ work is appropriated by mainstream—whiter—culture. Other unlockable dances in the game include BlocBoy JB‘s from “Shoot” and 2 Milly‘s from “Milly Rock.” While neither responded to a request for comment, both of them retweeted Chance’s remarks, with BlocBoy adding “We Need Dat Cash.” 2 Milly’s dance was added to the game just last week and retitled “Swipe it.” Malik Forté, a presenter for Blizzard’s Overwatch League, noted that while the Milly Rock dance has been popular for a few years, plenty of Fortnite players would now know it by a different name, possibly even thinking Epic invented it. “For the culture, I thought u should know the true origin,” he wrote, which 2 Milly also retweeted. The Swipe It dance emote is unlocked at tier 63 on the game’s season five battle pass, which costs $9.50 to unlock. Players can then pay extra to unlock the emote without having to grind for it. The dance has also been featured in marketing for the new content, but without any mention of 2 Milly, something not lost on the Brooklyn MC’s followers. When asked about the issue, a spokesperson for Epic said it had no comment. Epic is far from alone in commodifying popular dances and repackaging them for sale in its game. Blizzard has done it with World of Warcraft for years, recently adding them to Overwatch as well. Bungie’s online shooter series Destiny includes purchasable dances ranging from Michael Jackson’s moves in Beat It and MC Hammer’s hammer dance to the titular dance of Cali Swag District’s Teach Me How To Dougie. Fortnite’s unparalleled popularity and profitability has elevated it to the forefront of the discussion. If anyone can afford to collaborate with outside musical artists on the work it’s borrowing from them, surely Epic can. Some people on Twitter pushed back against Chance’s suggestion, though, arguing that since the dances were animated and put into the game by programmers and artists at Epic, it doesn’t make sense for the artists who originally created them to get a cut of the money, or even credit. In follow-up tweets, Chance focused on the idea that the originators of the dance moves that Epic is using should also benefit black creators of those dances, an idea that echoes the trend in which the work of black artists is ignored while white people profit off it. As cultural critic Lisa Tomlinson concisely pointed out in a 2016 short essay on the economic exploitation of black music, the past hundred years of music in America are filled with examples. Violinist Paul Whiteman was proclaimed the “King of Jazz” in the 1920s, Benny Goodman became the “King of Swing” in the 1930s, and decades later Elvis Presley became the “King of Rock ‘N’ Roll.” Maybe nothing demonstrates just how ingrained this legacy of theft is than Back To The Future trying to spin a white boy from the 80s giving Chuck Berry the idea for Johnny B. Goode as humorously ironic. How Swipe It, the dance emote inspired by 2 Milly appears in Fortnite. Fortnite: Battle Royale is free but profits are being made. Everyone can play it without ever spending a dime. In practice, though, there’s an elaborate market for in-game trinkets and cosmetic accessories, as well as custom emotes so people’s characters can perform popular dance moves. 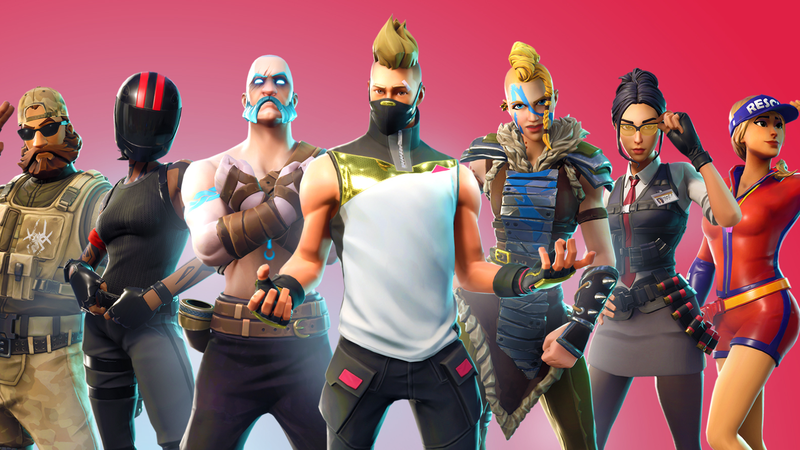 According to estimates by the market research group SuperData, this system earned Fortnite makers over $300 million in May alone. The stuff Epic sells in the game doesn’t just appear out of thin air though, and with all this money sloshing around, Chance and those in agreement with him are wondering what that means for the artists whose work originally inspired these dances. 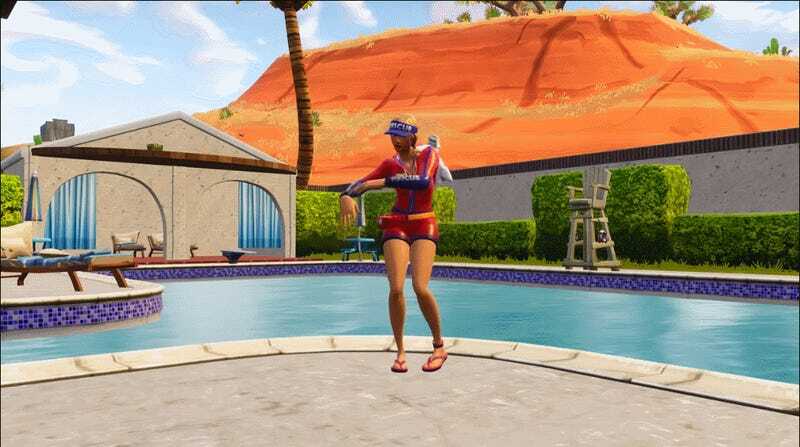 Epic isn’t trying to pretend it invented the dances in question. The whole point is that they’re already extremely well known and popular. That’s why people would be willing to spend money on them in the first place. Instead, the nature of dance emotes in virtual settings means that they can be monetized in a context completely cut off from the original, real world one in which they became popular, including being renamed something completely different. Anyone can do the dance in real life for free. Millions mimicked Snoop’s when the original music video came out and could perform it in the club or at one of Snoop’s concerts as often as they liked. It was part of a larger fandom around his music and the persona he had crafted for himself. Fortnite tries to cash in on that by letting you pay to deploy that coolness in its own world, devoid of the music or connections to the people who created it. Dances and hand gestures can’t be copyrighted or trademarked in the same way song lyrics or computer code can be, not that some haven’t tried. Wrestler Diamond Dallas Page sued Jay Z in 2005 for using the two-handed “Diamond Cutter” gesture he popularized in the 90s. The two eventually settled out of court for an undisclosed amount. As of last February, Jay Z has allegedly filed legal documents to try and secure ownership of the gesture for himself. And of course there’s Michael Jackson’s Moonwalk, one of the most famous dances of all time. Jackson was able to patent the shoes he used to perform it but not the moves themselves. [Update - 5:05pm]: Milly responded to Kotaku moments after this story went up saying he wishes Epic would have reached out to him prior to putting his dance in the game.